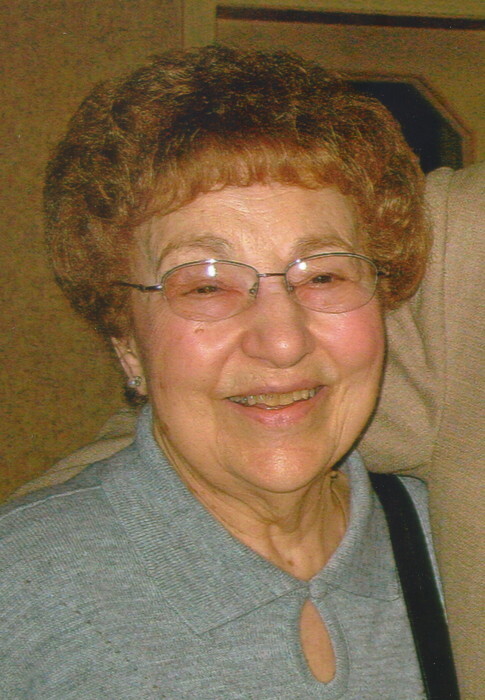 Obituary for Lillian (Mariani) Ascenzi | Nardolillo Funeral Home, Inc.
94, of Johnston, passed away on Sunday, September 9, 2018 at Cherry Hill Manor in Johnston. Lillian joins her beloved husband Dante Ascenzi and beloved daughter Cheryl Ascenzi in heaven, where they will welcome her with open arms. Born in Providence, she was a daughter of the late Gaetano and Francesca (Santilli) Mariani, and sister to the late Hilda, Edward, Ralph, Domenico, Salvatore, and Salino Mariani. She is also survived by many loving nieces and nephews who will miss her deeply. Lillian worked for many years at Imperial Pearl, before retiring from Bulova. She loved life, family, and mostly her best friend and daughter Cheryl. She enjoyed cooking and knitting and truly perfected both. Funeral from the NARDOLILLO FUNERAL HOME & Crematory, 1278 Park Ave., Cranston on Monday, September 17th at 8:45 am followed by a Mass of Christian Burial at 10:00 am in St. Thomas Church, Providence. Burial will follow in St. Ann Cemetery, Cranston. VISITING HOURS will be held on MONDAY MORNING from 8:00 – 9:00 am. In lieu of flowers, memorial contributions may be made to: Hope Hospice and Palliative Care RI, 1085 North Main St. Providence, RI 02904.Visit NardolilloFH.com for online condolences.